A leader in the industry since 1961, Elmore Associates has over four decades of experience improving homes and businesses with a wide range of window tint solutions. 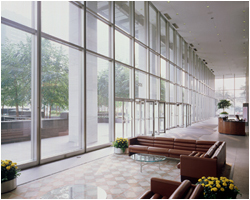 Starting with high-efficiency window films, we offer a full range of passive, low-maintenance window products for your home or office. These products work for you -- invisibly -- to reduce solar heat gain, control fading and glare, add security and privacy, and provide valuable window insulation. Elmore Associates has offices in CT, NY, and Mass and offers the best in professional attention and service. Our staff of experienced, full-time field representatives is available for on-site consultation and analysis.